Another entry in their jewel-encrusted partnership, Boucheron(previously mentioned) and Girard-Perregaux(previously mentioned) have released a pair of watches, the Cypris Tourbillons. 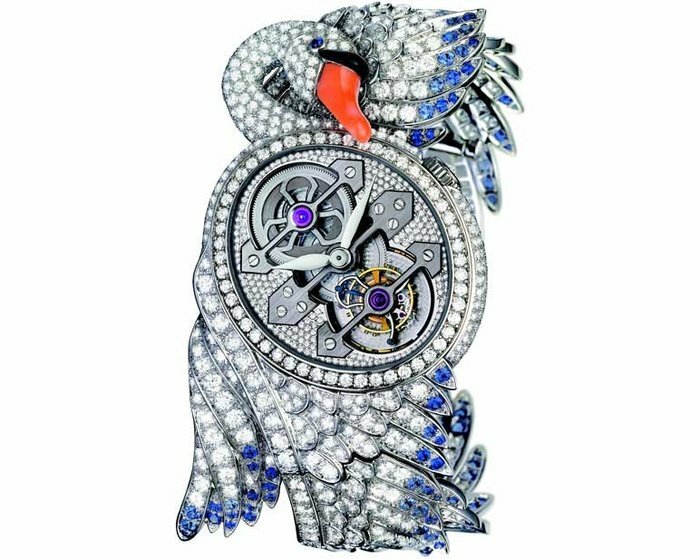 Building on GP's signature triple-bridge tourbillon movement (previously seen), Boucheron has created a matched pair of swan-shaped watches. 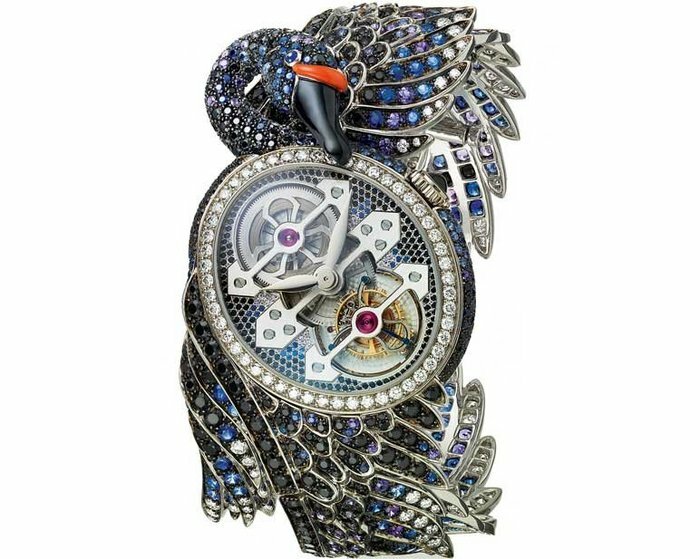 For the black swan, more than 1380 black spinels, blue and violet sapphires cover the wings and body, and pieces of black onyx and coral are polished and shaped to the beak. 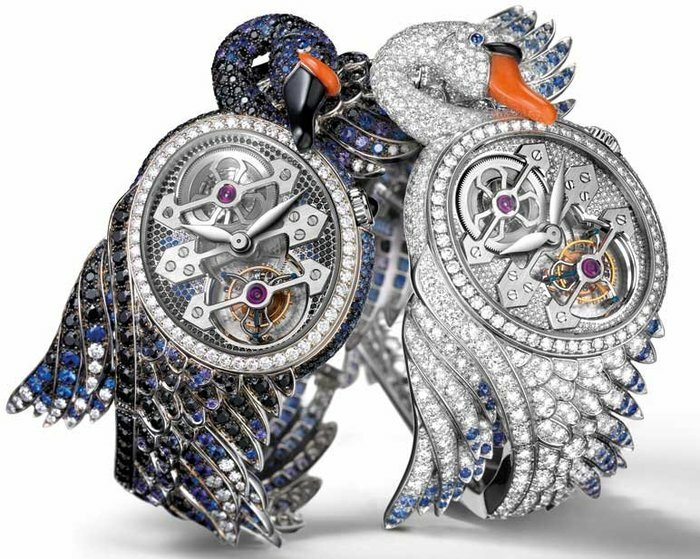 For the partner white swan, the wings and body are set with more then 700 more diamonds mixed with 100 blue sapphires and the beak is a mirror-image of that of the black swan.